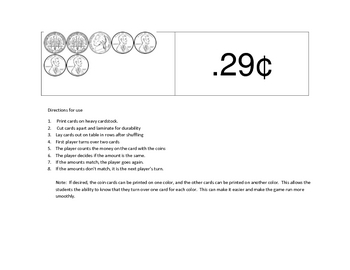 This is a concentration game for learning to count money. This game can be used for a center. It could also be left out for students to do when they are finished with their work.